Your steampunk sets are always great. I love that you used a little pop of color. That blue/brown combination is really nice. I feel the same way about Victorian and steampunk styles! The more steampunk, the better! This is beautiful. Thank you! I heard someone ask if I knew any Passover dolls, and I realized that I couldn’t find any good ones beyond these animal ones on Google (they weren’t really what I was going for). Could you make some? Maybe a full set instead of the 2 outfit format? 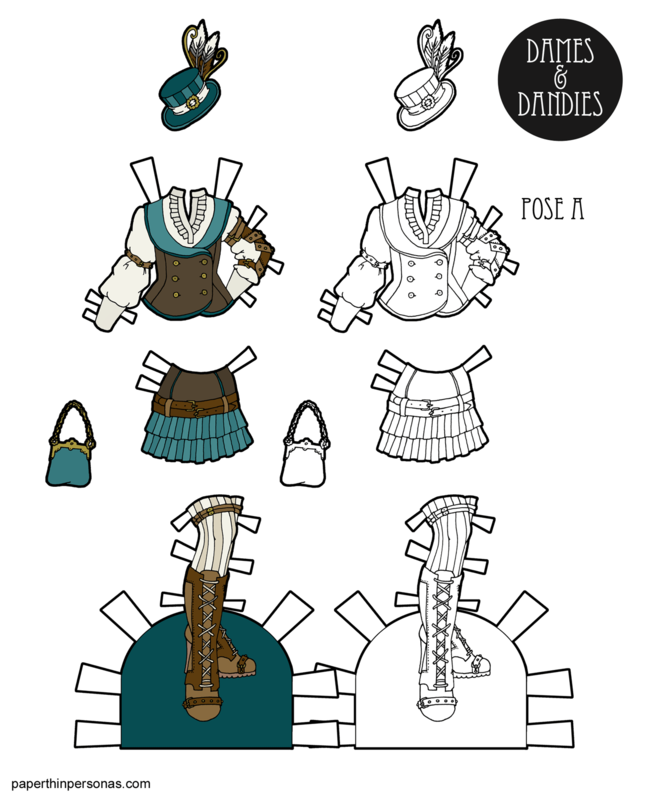 I don’t do fully formatted paper dolls for the blog anymore and I don’t plan on starting up again. I may someday do a Passover paper doll, but as the holiday ends on Saturday, it won’t be this year. I’ve also always struggled with what a Passover paper doll would entail. I suppose a Seder plate, Haggadah and a tiny box of Matzo.